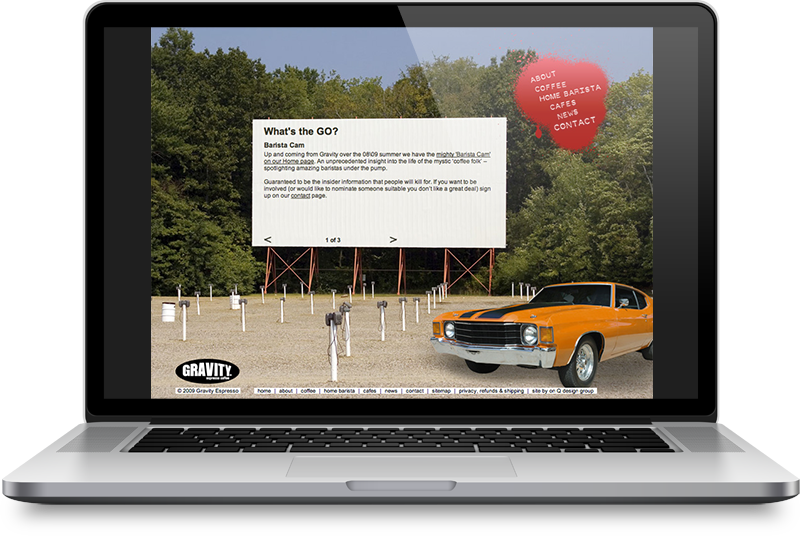 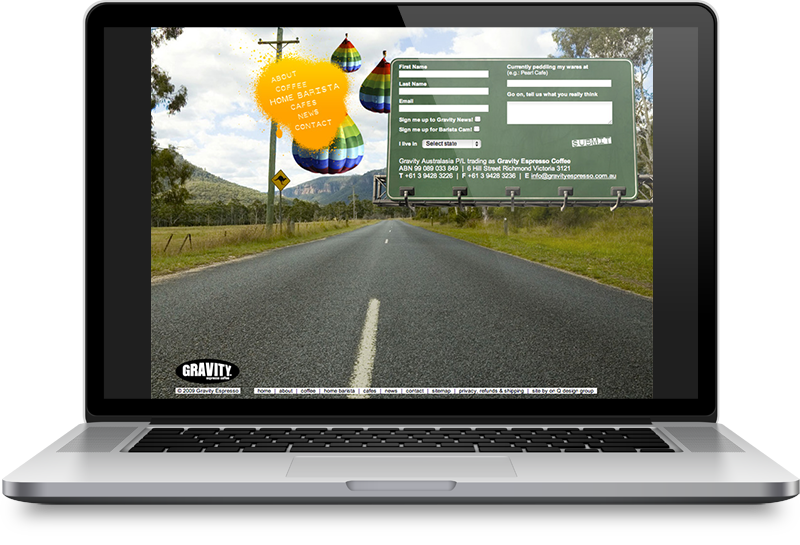 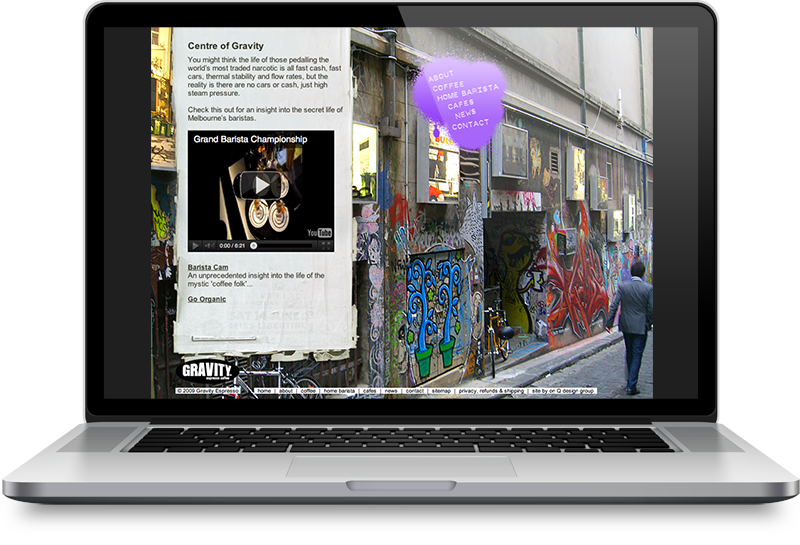 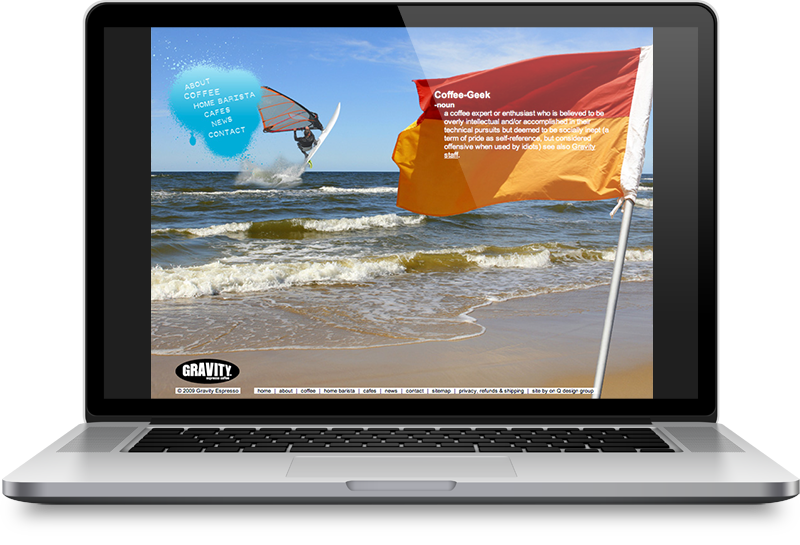 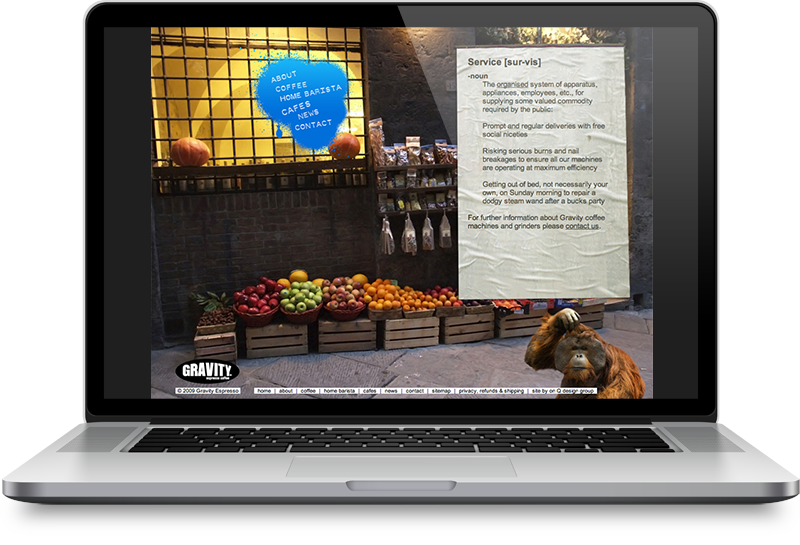 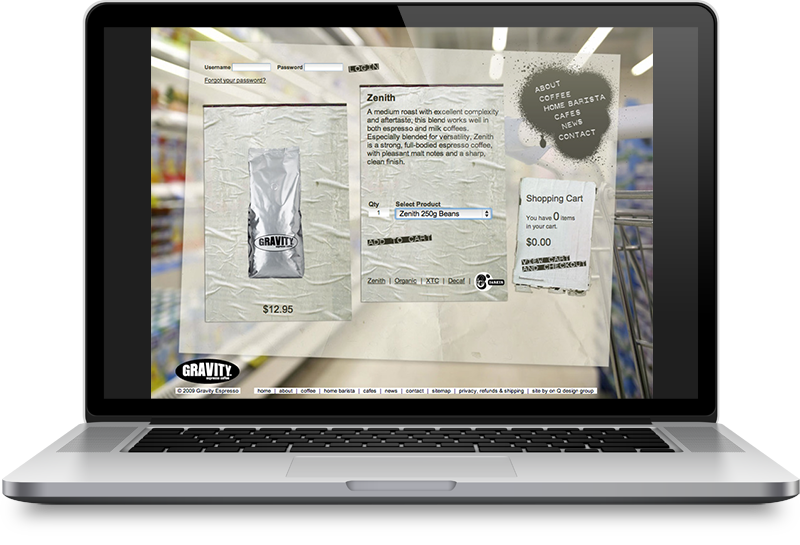 Gravity Espresso were after an e-commerce website design with an free-form feel that reflected the individuality of the Gravity brand and extended their presence online. 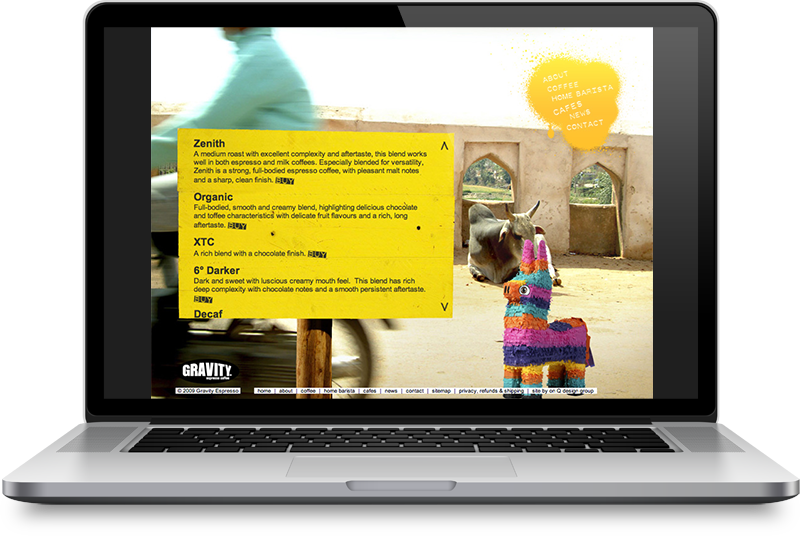 This was achieved through the use of large image, playful cut and paste collage feel, experimental navigation and a custom e-commerce CMS powered website. 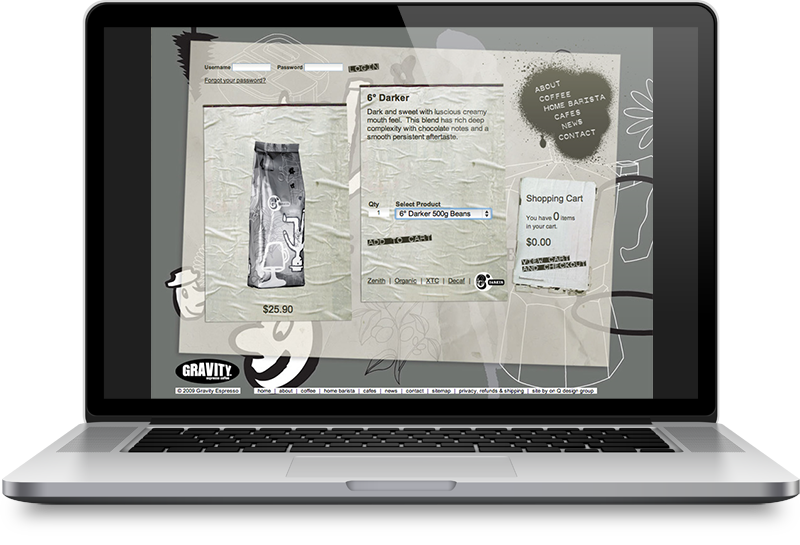 I also designed Gravity’s illuminated signage, coffee packaging and Australia’s first full compostable coffee cup, PLAnet cup.